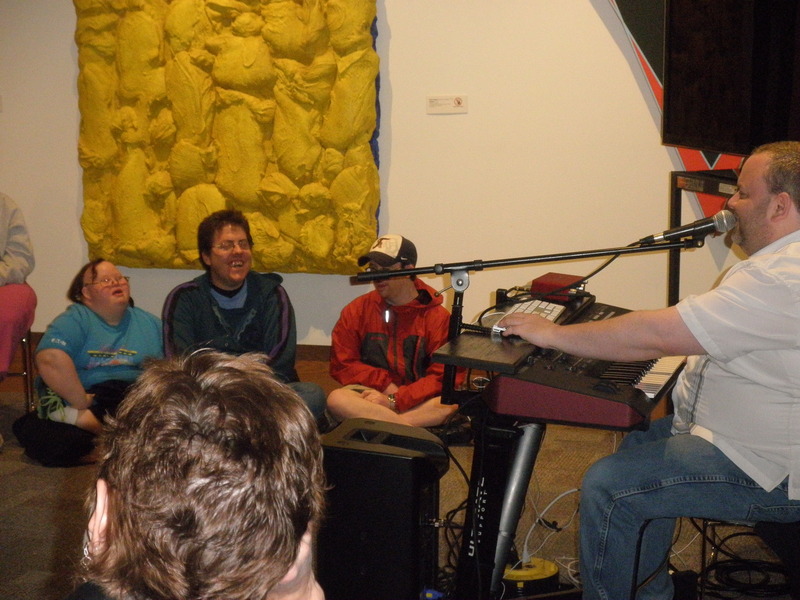 Arts for All was held April 29 at the Dennos Museum Center. 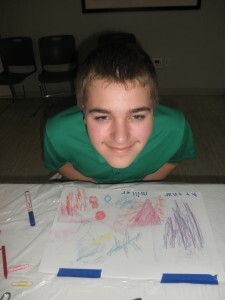 There were art workshops, classes and entertainment all day long (two sessions), then a concert, silent auction and afterglow in the evening. 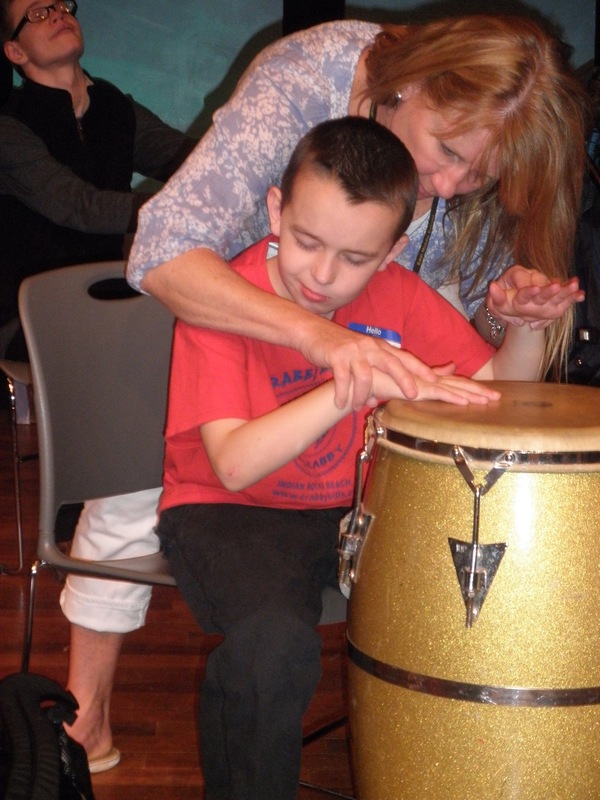 Thank you so much to all our teacher, volunteers, bidders and donors — and especially to our students! 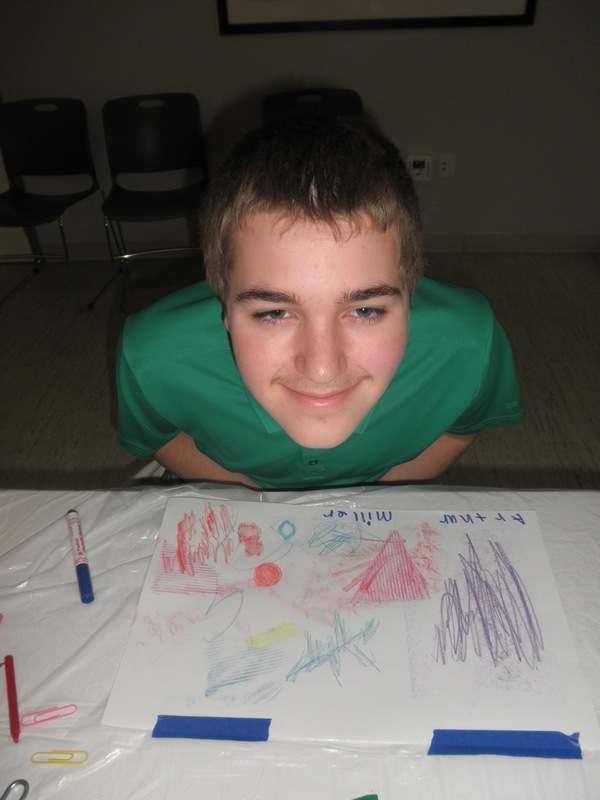 A fabulous creation made during the Art Workshop. 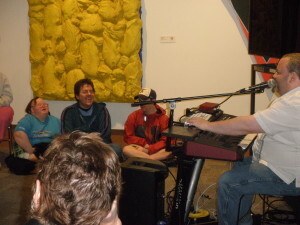 Kevin Reeves, right, teaches and entertains. 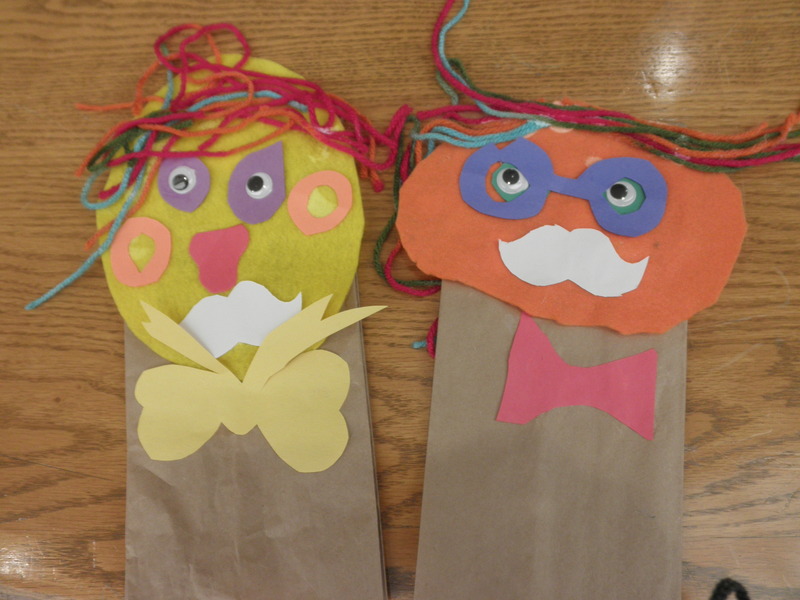 Some of the clever works of art from the hand puppet workshop. 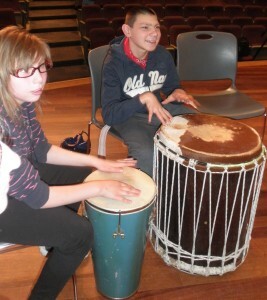 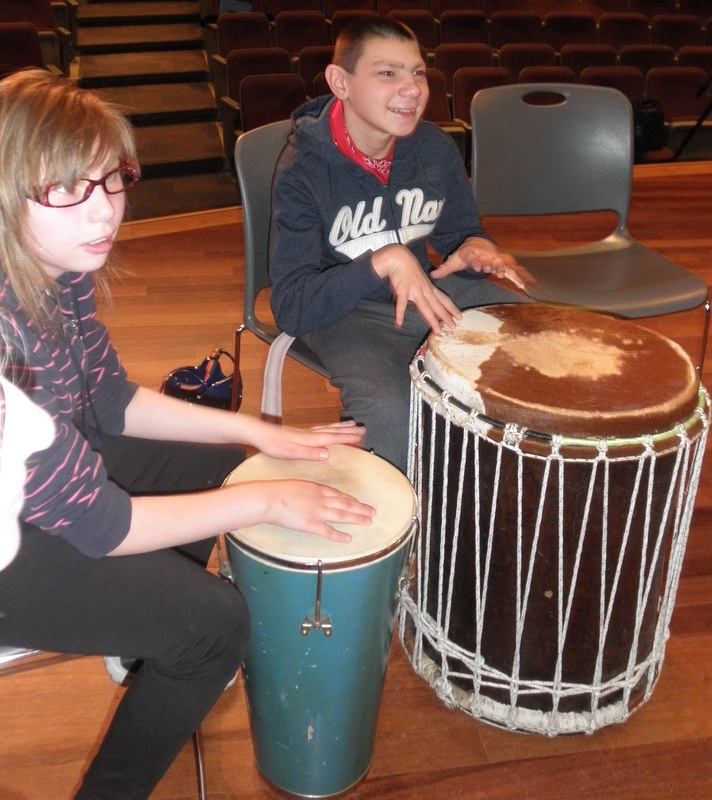 The drumming workshop – such racket, such fun!